The Claremont Tourism Business Improvement District (“us”, “we”, or “our”), with the Claremont Chamber of Commerce as its Owners’ Association, operates the discoverclaremont.com website (hereinafter referred to as the “Service”). Claremont Tourism Business Improvement District will also retain Usage Data for internal analysis purposes. Usage Data is generally retained for a shorter period of time, except when this data is used to strengthen the security or to improve the functionality of our Service, or we are legally obligated to retain this data for longer periods. Under certain circumstances, the Claremont Tourism Business Improvement District may be required to disclose your Personal Data if required to do so by law or in response to valid requests by public authorities (e.g. a court or a government agency). If you are a resident of the European Economic Area (EEA), you have certain data protection rights. Claremont Tourism Business Improvement District aims to take reasonable steps to allow you to correct, amend, delete or limit the use of your Personal Data. The right to withdraw consent. You also have the right to withdraw your consent at any time where Claremont Tourism Business Improvement District relied on your consent to process your personal information. The official Facebook page of the Claremont, California, Tourism Business Improvement District (Claremont Tourism BID), branded as “Discover Claremont,” was created to share information about tourism amenities – hotels, dining, shopping, special events, local activities – with residents and visitors to Claremont. This page is administered by the Claremont Tourism BID through its marketing consultant and the Claremont Chamber of Commerce; the content on this site is not controlled by the City of Claremont. The City does not retain any social media content. The City does not endorse any link or advertisements placed on this site by the social media site or its vendors or partners. The posts and comments expressed on this site by the members of the public do not reflect the opinions or endorsements of the Claremont Tourism BID, the Claremont Chamber of Commerce, or the City of Claremont, its officers or employees. The City of Claremont does not claim or assert any ownership interest in any of the material posted here by the public, but by your posting or submission of any materials on this site, you are granting the Claremont Tourism BID and the City a royalty free, non-exclusive and perpetual license to display it on this site, and in the Claremont Tourism BID’s sole discretion. The Claremont Tourism BID, the Claremont Chamber of Commerce, and the City of Claremont reserve the right to remove comments and/or block anyone who posts inappropriate or offensive material on this site, as determined by the Claremont Tourism BID. “Liking” or other connections between the Claremont Tourism BID and another person/organization does not imply endorsement of that person/organization or that person/organization’s actions or comments. 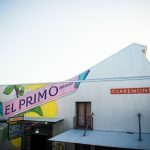 The Claremont Tourism BID requires all comments remain “on topic” and stick to the subject matter of the original post. Comments not meeting these criteria may be removed. Posts and comments not related to visitor activities in Claremont may be deleted. Include material having intellectual property rights, including copyrights, trademarks or any other propriety property that belongs to another person or organization. Contain links to inappropriate websites, or links that do not directly relate to visitor activities or events in the City of Claremont.